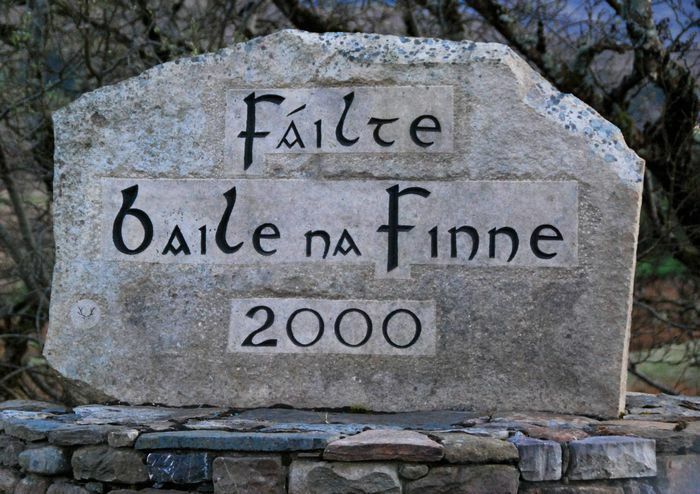 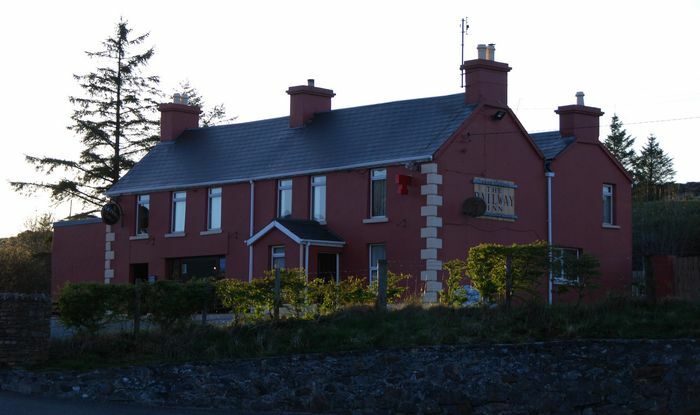 Baile na Finne ~ Meaning "Townland of Finn"
Fintown is a small hamlet that sits on the banks of Lough Finn approximately 30 km/19 miles from Letterkenny on the Glenties road. 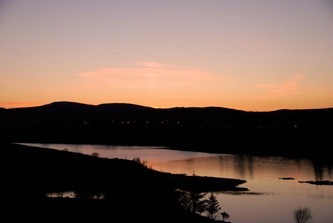 Lough Finn is approximately 3 miles long and half a mile wide (5km long and almost a kilometer wide) and sits below the mountains of Aghla (1,961 feet high) and Screig. 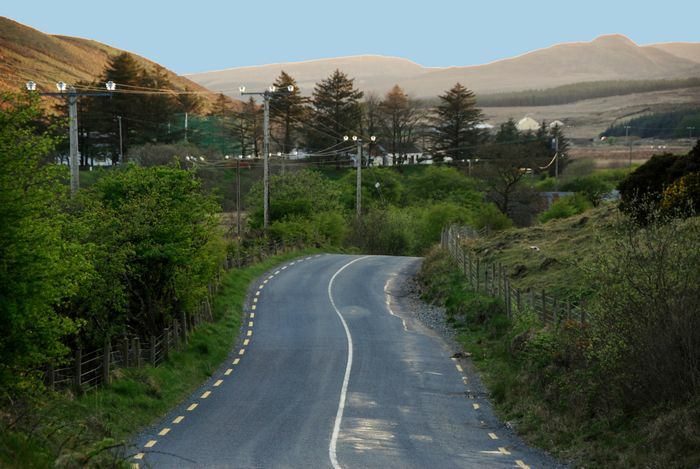 The drive from Letterkenny takes you over the vast landscapes of Meenaroy where there is scarcely any sign of human habitation. 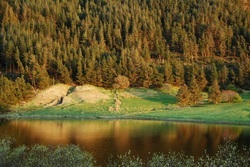 Acres and acres of land and forests making for some wonderful scenery. 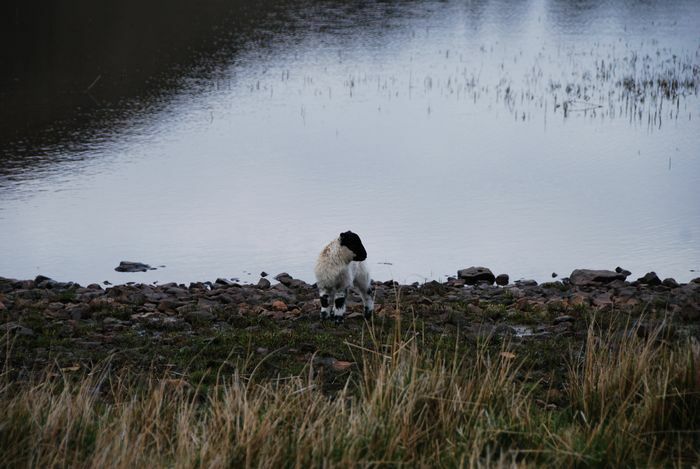 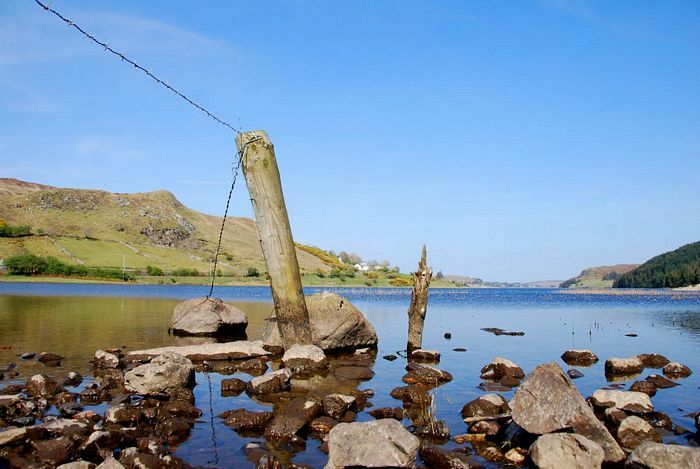 The hamlet of Fintown is named after a figure from Irish mythology, Finngeal who it is said drown in the lough trying to save her brother Feargamhain. The hamlet has a school, a church (St. Colmcille), a G.A.A. 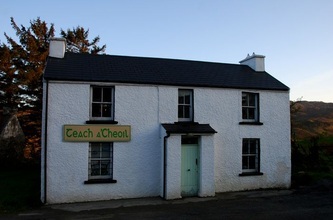 pitch, a library, a few pubs and a store and post office. 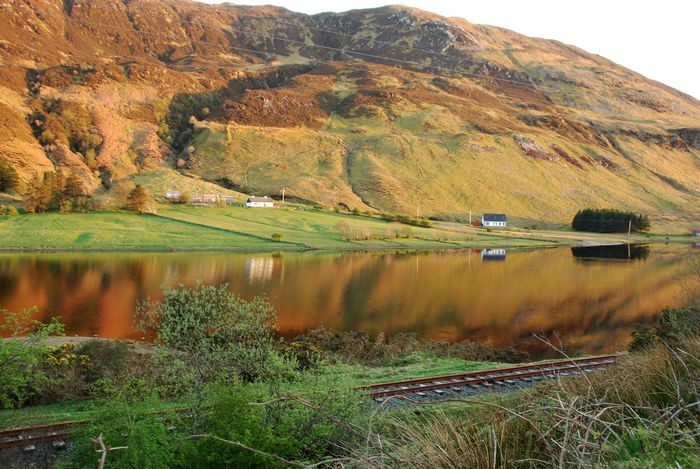 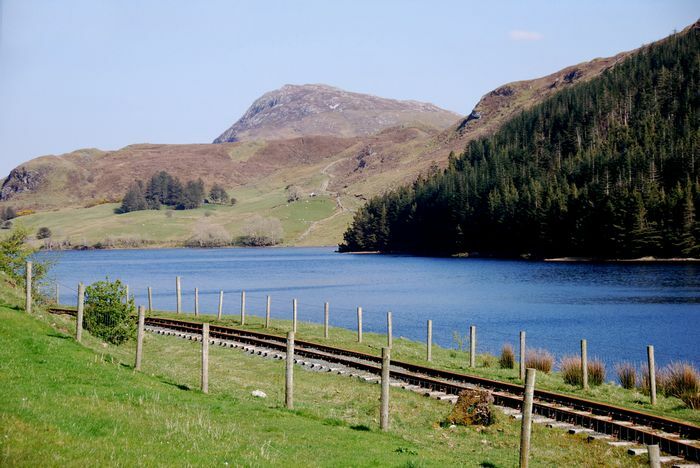 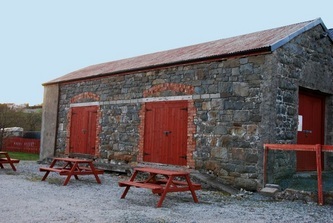 It also has a small railway, the only narrow gauge railway in Donegal, which takes visitors on a run along the length of the beautiful Lough Finn and back. "This is the heartland of Donegal where a turn on the road or hill along the way can unfold a new a stunning landscape. 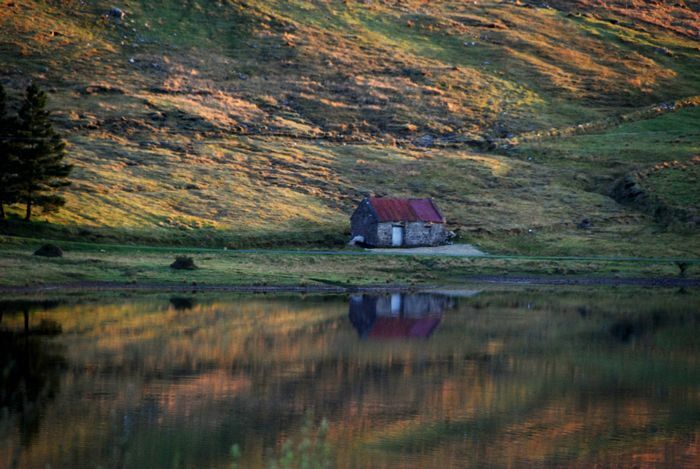 A rugged and beautiful countryside in mountains, glens and lakes. The River Finn is recognised as one of the finest salmon rivers in Europe and attracts anglers from far and wide. 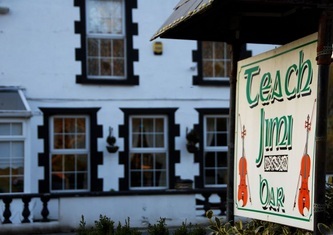 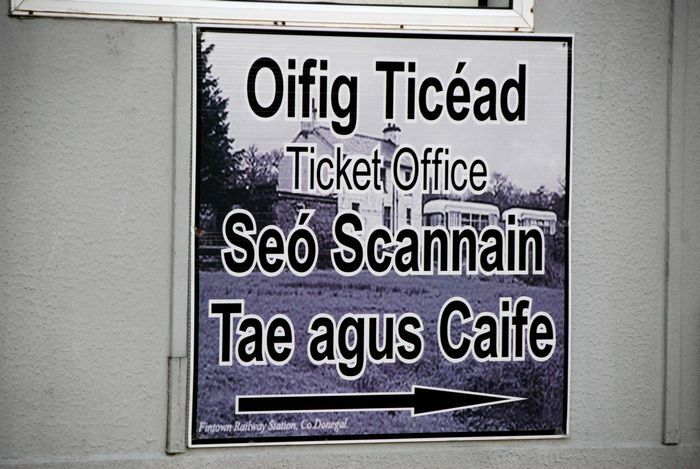 The tradition, culture and language of the area is evident in the way of life of the people, the traditional music in pubs every weekend, and the Irish language spoken by the people of the area. 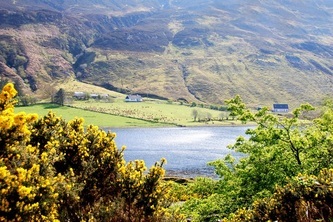 Excellent views can be seen towards the Bluestack Mountains which overshadow the banks of the River Finn. 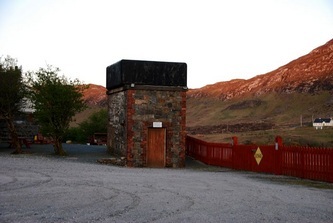 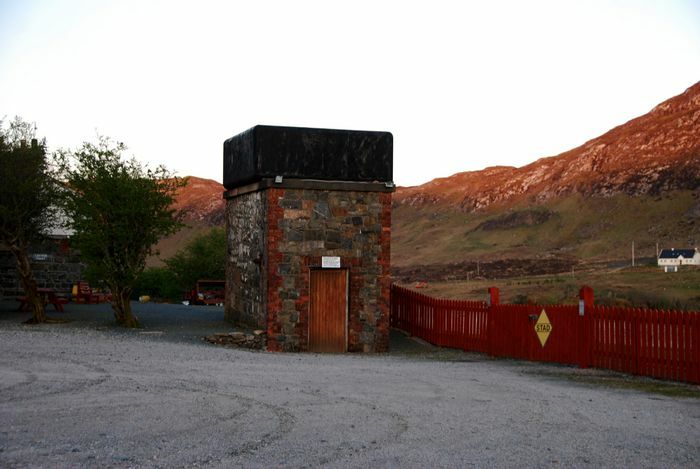 Glenveagh National Park is nearby where roaming deer can be observed in the unspoilt countryside. 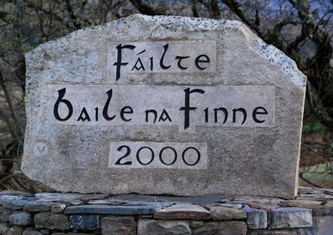 Sli Na Finne will provide the most beautiful scenery and exhilarating walk imaginable. 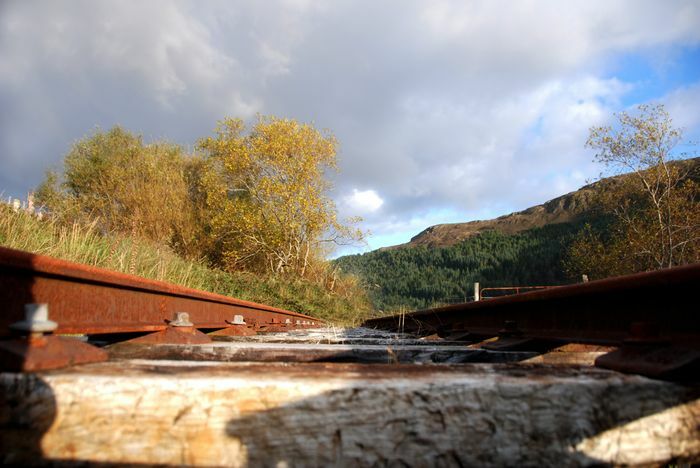 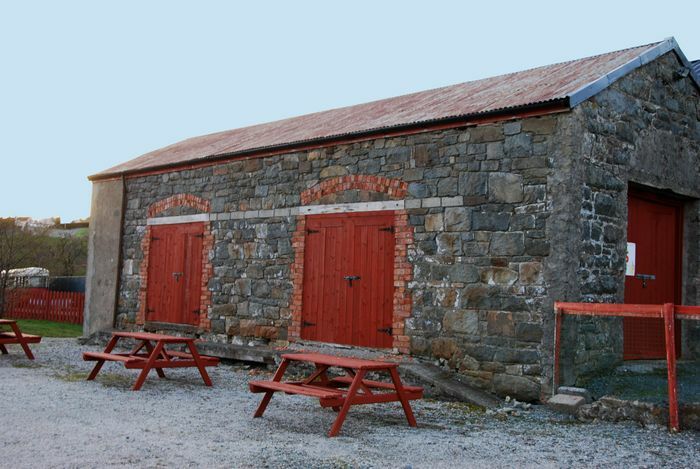 Take a memorable trip on the Fintown Railway, Donegal's only operational narrow gauge railway. 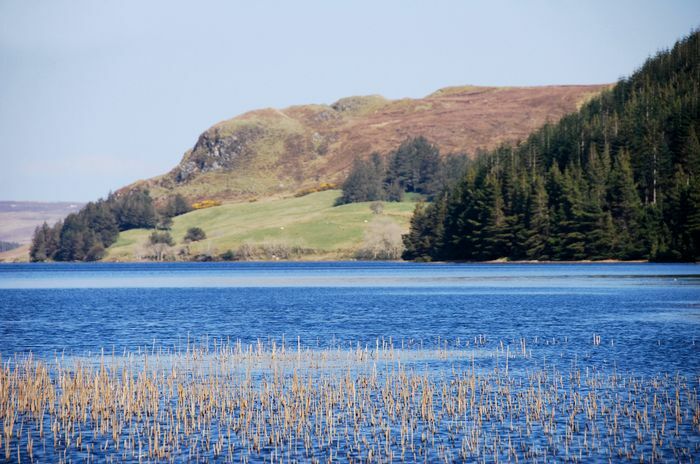 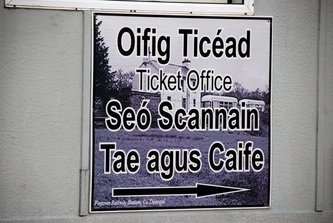 This unique journey is a five mile return trip along the shores of Lough Finn."